If I’m not putting on make-up, I’m probably thinking about it. There are a myriad of other things I also dabble on, of course. These days, however, I’m mostly preoccupied by new beauty products to include in my never-ending list and trends I don’t really care about. I figured since I’ve been thinking about it a lot, I might as well put this out there in the hopes of finding someone to talk about it. 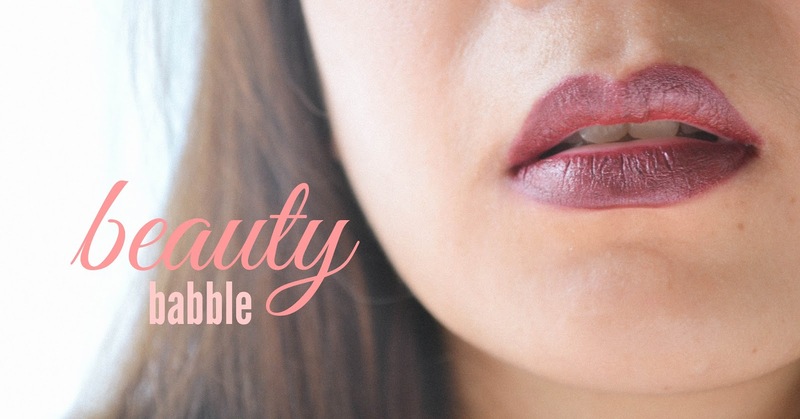 Let’s babble about beauty, shall we? When did you begin to like make-up? I started getting fascinated with painting faces relatively young (at least here in the Philippines), around 12 or 13. Unlike some, however, my introduction with cosmetics was not initiated by my mother. During special occasions, it was my maternal cousins would be armed and ready to experiment with my face and try to replicate a cool new look they saw from a favorite celebrity on a formerly popular noon time show. I did not, however, grow up to become one of those kit-toting people who can’t face anybody without putting something on. Make-up for me then was limited to special occasions — weddings, sagalas, proms and graduations — partly because I was lazy, and also because I went to a school that didn’t allow students to experiment with our looks. It changed a bit when I went to college, but I still didn’t have an arsenal of cheek blushers and eyelash lengtheners with me at all times (mostly because I was cash-strapped). But it didn’t change the way I perceived the craft. Putting on make-up for me, at the time, was some sort of ceremony. It still is, to be honest. I am gratified by accomplishing each step, as silly it may sound. I love putting on make-up on others, too. There has always been a hesitance to fully embrace my fondness of the make-up industry, though. True, there are a lot of negative aspects to the world that constantly asks women to purchase something in the hopes of attaining a smidgen of physical perfection. So, yes, I like putting on and talking about make-up. How about you?